From the authors: The prevalence of kidney disease among United States adolescents and how it changed over time is largely unknown. Similar to adults, kidney disease in youth is defined by the presence of elevated albumin in the urine (albuminuria) or reduced kidney function, also called markers of kidney disease. Our objective was to assess trends in these markers among adolescents aged 12-18 years participating in the National Health and Nutrition Examination Surveys (NHANES) between 1988 and 2014. We found that the overall prevalence of albuminuria has not changed significantly over time. 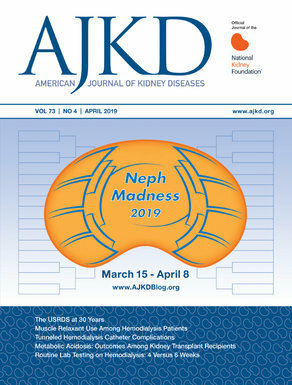 The prevalence was significantly lower with repeated measurements, suggesting that using a single measurement severely overestimates kidney disease. Less than 1% of adolescents had reduced kidney function, although this marker increased over the study period. These results point to the particular importance of repeated albuminuria determinations, or the use of more sensitive markers for identifying adolescents with kidney disease. From the authors: Decreased kidney function in the absence of albuminuria is a common manifestation of chronic kidney disease (CKD) in diabetes. However, little is known about the risk of this form of kidney disease progressing to more severe forms of kidney disease. 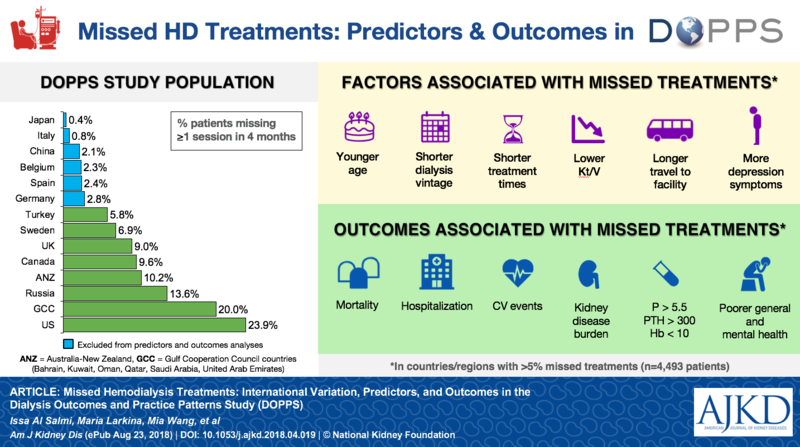 To address this gap in knowledge, we studied 1,908 participants with diabetes enrolled in the Chronic Renal Insufficiency Cohort Study, a multicenter prospective study of patients with established CKD in the United States. At baseline, more than a quarter of them had no albuminuria, despite having decreased kidney function. After an average follow-up of six years, one third of the 1,908 participants developed end-stage kidney disease (ESKD). Among participants with chronic renal impairment without albuminuria, only one in 20 progressed to ESKD. In addition, this group of patients had significantly lower kidney function decline per year compared to those with albuminuria. In summary, we demonstrated that the absence of albuminuria is common in people with diabetes and decreased kidney function. The risk of their progression to ESKD or rapid decline in kidney function is very low. From the authors: Bioelectrical impedance analysis (BIA) is a non-invasive, inexpensive, and portable tool that can be used to assess body composition. BIA measures of cell integrity (phase angle) and hydration (vector length) have been linked with poor clinical outcomes in certain populations. We studied whether phase angle and vector length are linked with clinical outcomes in nearly 4,000 patients with chronic kidney disease (CKD). We found that narrow phase angle was associated with higher risk of death and that shorter vector length was linked with greater risk of heart failure. 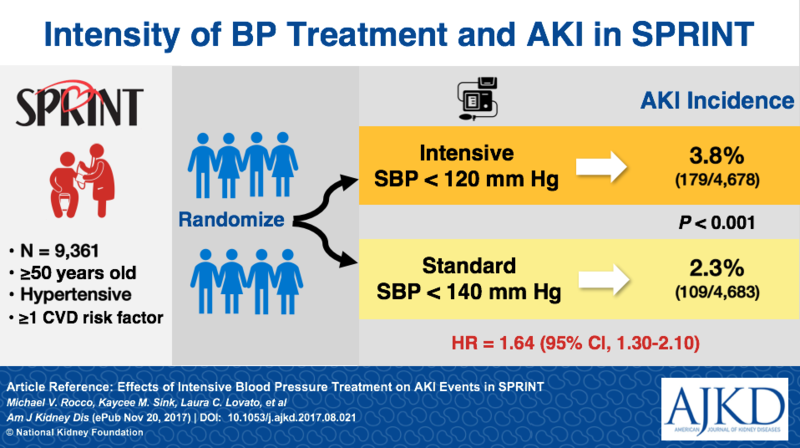 From this study, we concluded that BIA measures of phase angle and vector length may identify patients with CKD who are at risk for poor clinical outcomes. Further studies are needed to determine whether BIA measures can be used to guide therapies in this population. From the authors: Tobacco smoking might not influence patients suffering from end stage renal disease (ESRD) to the same extent as the general population. We investigated the association of tobacco smoking status with mortality and hospitalization among a large and diverse group of the incident hemodialysis (HD) population with various comorbidities. We found that the probabilities of mortality and hospitalization were higher among HD patients who smoked and that the increased risk may be worse for younger individuals. Patients with diabetes were found to have an increased risk of outcomes associated with smoking that was similar to patients with coronary artery disease (CAD) or congestive heart failure (CHF). Second-hand smoke was not observed to be associated with increased risks of hospitalization and mortality. From the authors: Arterial stiffness, often measured by pulse wave velocity (PWV), is suggested as a mediator linking chronic kidney disease (CKD) and cardiovascular disease (CVD). However, previous studies reported inconsistent associations between CKD and PWV and were limited by using either estimated glomerular filtration rate (eGFR) or albumin-to-creatinine ratio (ACR) and examining PWV at limited arterial segments. In a community-based cohort study of 3,424 participants, we examined the associations of eGFR and ACR with six different PWV measures indicating central and peripheral arterial stiffness. Both lower eGFR and higher ACR are independently associated with measures of central arterial stiffness, especially carotid-femoral PWV, and with stronger associations for ACR over eGFR. Measures of peripheral artery stiffness demonstrated weaker positive associations with CKD measures compared to measures of central arterial stiffness. Our findings suggest that central arterial stiffness may be an important pathophysiological phenotype of vascular disease in CKD. From the authors: Cognitive impairment is highly prevalent and associated with an increased risk of death in patients on peritoneal dialysis (PD). Few studies have explored the change in cognitive function among PD patients. Therefore, we evaluated cognitive function in a group of PD patients at the beginning of the study and after two-year follow-up. The prevalence of cognitive impairment increased during the follow-up. Global cognitive function declined over two years, even though executive function, immediate memory, and visuospatial skill improved. Delayed memory capacity and language ability remained unchanged. Serum albumin, advanced age, lower education, and depression were associated with cognitive decline. Cognitive impairment was also found to be associated with increased risk of being hospitalized and being transitioned to hemodialysis. The findings of our study could help us to find new strategies for preventing cognitive decline by correction of these risk factors. From the authors: Hypoglycemia (i.e., low blood glucose levels) commonly occurs in patients with diabetes and worsening kidney function. While studies in the general population have shown that hypoglycemia is associated with worse outcomes, this had not been well-studied in patients with kidney disease, particularly among those progressing to end-stage renal disease (ESRD). 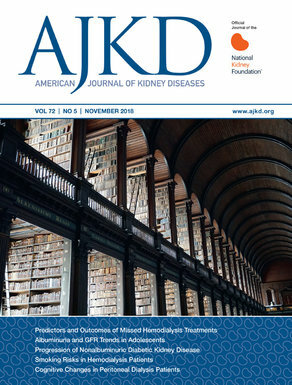 We examined a national cohort of United States veterans with diabetes and moderate-to-severe kidney disease progressing to dialysis, and found that having more frequent hypoglycemia-associated hospitalizations prior to developing ESRD was associated with increasingly higher post-ESRD death risk. Use of sulfonylureas and/or insulin was associated with higher risk of having hypoglycemia in the period prior to developing ESRD. These findings suggest that hypoglycemia events among patients with diabetes progressing to ESRD is associated with worse long-term survival, and that certain anti-diabetic medications may increase the risk of low blood glucose. The photograph “Trinity College, Dublin, Ireland” is by Jack Reichert on Unsplash. Released under the Unsplash license.